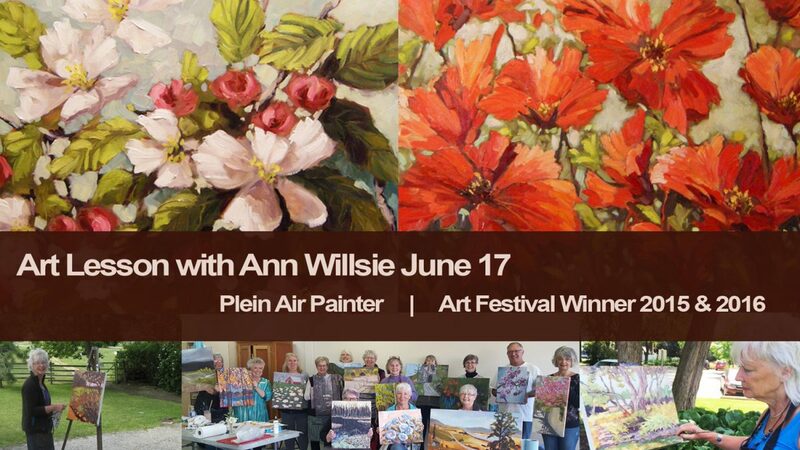 Art lesson with award winning artist Ann Willsie. One-day workshop “Painting Impressionistic florals”. Date for class: Saturday, June 17th 2017, from 10am – 4pm. 4. Brushstrokes – how to loosen up and create more impressionistic as opposed to realistic paintings. The rest of the day you will be working on your own paintings, your choice of subject matter. If you are a fast painter, make sure you bring lots of canvasses and reference photos. I will provide guidance on a one-on-one basis throughout the day. The key to enjoying painting lies in letting go of pre-conceived notions, loosening up and having fun! Supply list, with additional information, available for download after purchase. ** Other dates possible based on enough requests.